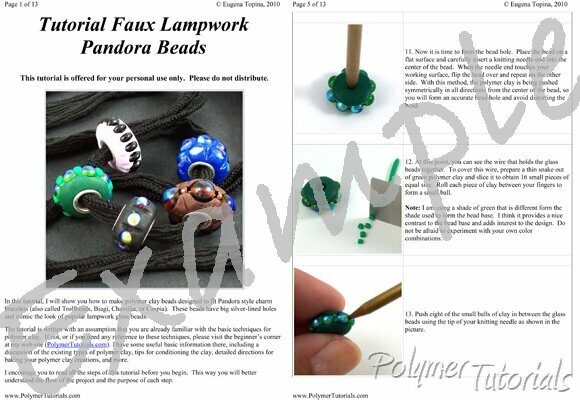 Any color or color combination, with beautiful 3D details and delicious texture - imagine being able to make all these beads with your own hands and with only a few simple tools and materials. No need for a kiln or a torch; all you need is a regular oven and a little imagination. These beads are made of polymer clay with sterling silver findings and fit the popular Pandora bracelets and necklaces (also called Trollbeads, Biagi, Chamilia, or Caspia). Thirty big full-color pictures showing every step. very well explained, easy to follow Anna (Canada) ..